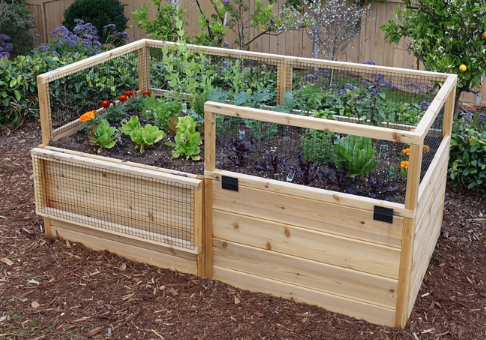 Made with solid western red cedar, this 20″ high raised garden bed features a 12″ tall hinged fence, which allows easy access to the garden while preventing pests such as rabbits from eating your vegetables. This 6′ x 3′ cedar raised garden bed makes gardening a breeze. At 20 inches high, you can access the garden without kneeling on the ground, which saves your back and knees from becoming strained over time. The deep raised bed provides ample soil, perfect for growing all kinds of vegetables and flowers.